This lovely 4 star hotel on the beach at Tambau, João Pessoa City, recently dedicated it's Reception Foyer to the Principality of Hutt River and declared that all Hutt River Citizens will receive generous discounts upon producing their Hutt River Passports. Hotel Manager, Mr Daniel Felix is only too happy to announce his support and respect of HRH Prince Leonard and the Principality of Hutt and urges all her citizens to at least call in should you be in the area. Shown here are a couple of photographs taken on the occasion of the dedication of the foyer which occurred with the installation of the Photograph of H.R.H. 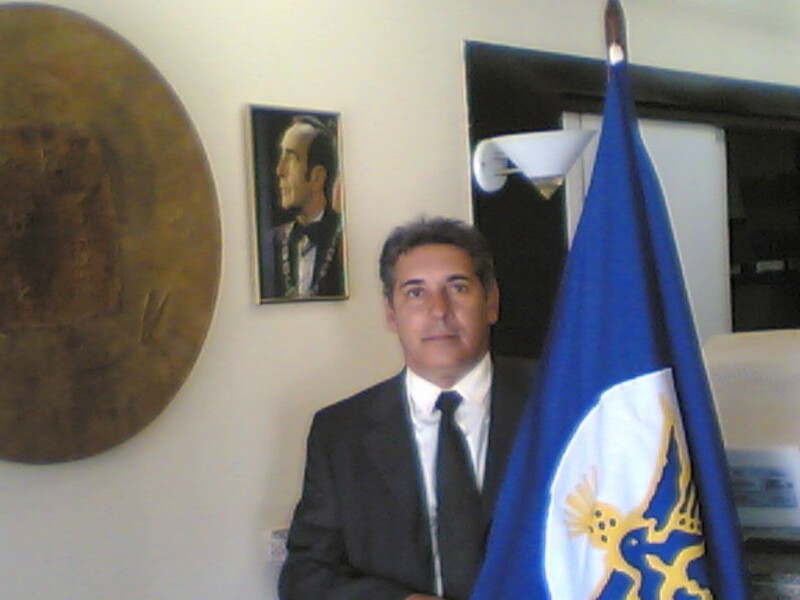 Prince Leonard and the Principality Flag to a prominent point in the reception area. In attendance for the dedication ceremony were numerous Diplomats representing Albania, Romania and Brazil whilst the Principality was ably represented by it's Consul General to Brazil, Sir Lamartine Hollanda Junior K.R.O. 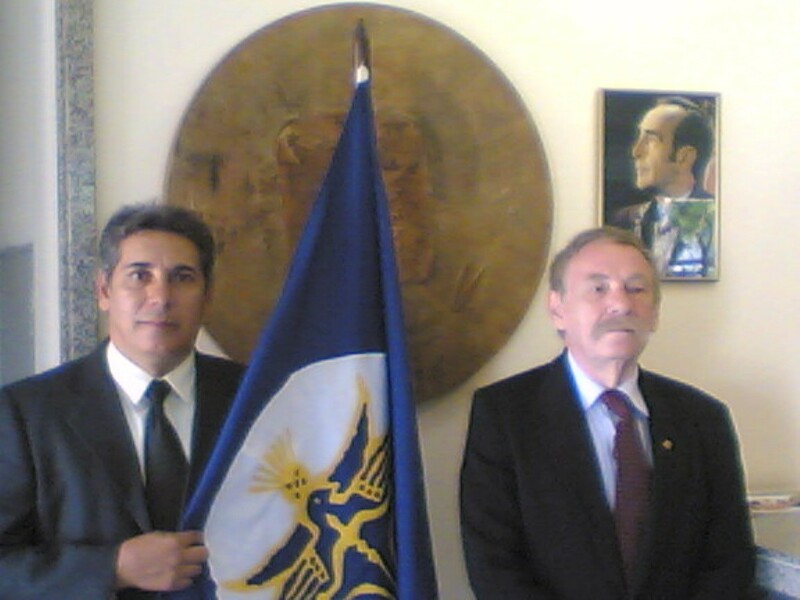 (shown pictured on the right of Daniel) along with his wife, Lady Consul Dr. Marialuisa Caveglia de Hollanda Cavalcanti and son Sr. Gustavo de Hollanda Cavalcanti. H.R.H. 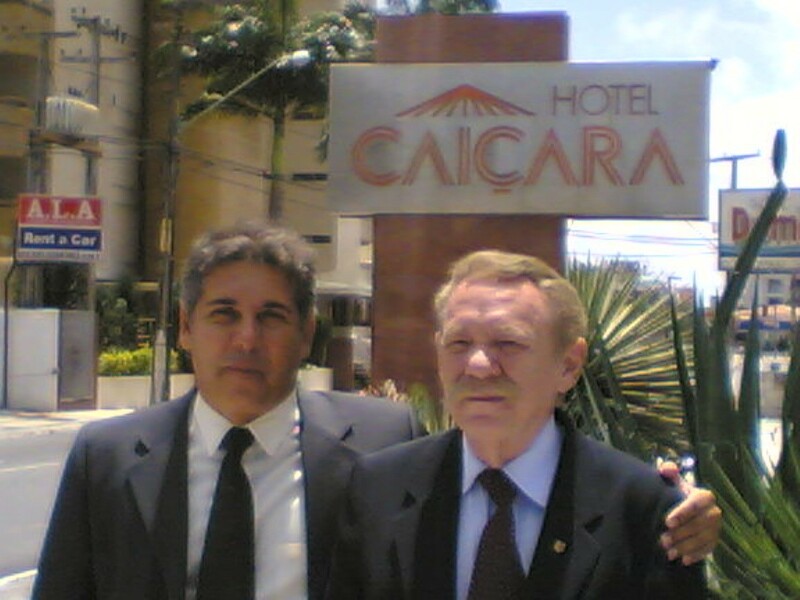 Prince Leonard wishes to thank Manager, Daniel Felix and Staff of the Hotel Caiçara for their hospitality to our representatives on this special occasion as well as for their support of the Principality and to our Brazilian Consular representatives for their able assistance. Manager & HRP Consul General.